ChiIL out with FREE tickets from ChiIL Mama and our friends at GOFOBO. Passes are limited/first come first served. Hey Naperville area readers... and those willing to truck on out to the burbs. We have free passes for YOU. We dig Morgan Spurlock's work. Back in the day, my husband was the sound guy on 4 seasons of Insomniac With Dave Attell with Morgan Spurlock's cameraman. He even got called to do audio for one of Spurlock's films, but he was already booked. We still try to catch everything he directs. We already gave away a slew of advanced screening passes in the city and now it's your turn, chiIL burb dwellers. We have another advance screening of ONE DIRECTION: THIS IS US. Redeem a free admit-two pass to the screening this Saturday, August 10th at 11:00AM at the Hollywood Palms Theater (352 Illinois Route 59, Naperville, IL 60540). Please note the passes are first-come, first-served and a pass does not guarantee a seat. Those with passes should arrive early. 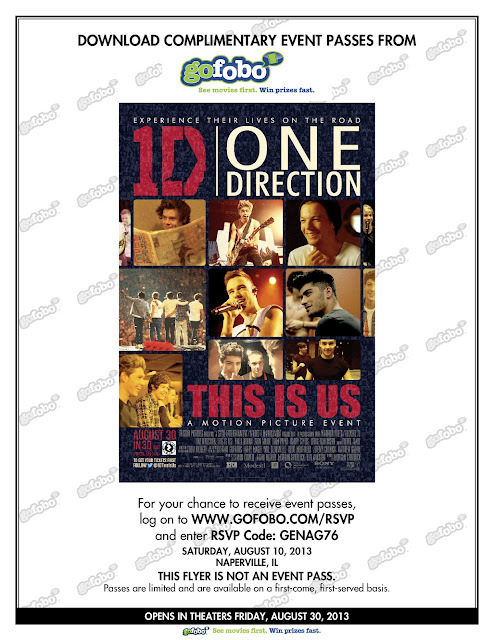 Synopsis: ONE DIRECTION: THIS IS US is a captivating and intimate all-access look at life on the road for the global music phenomenon. Weaved with stunning live concert footage, this inspiring feature film tells the remarkable story of Niall, Zayn, Liam, Harry and Louis' meteoric rise to fame, from their humble hometown beginnings and competing on the X-Factor, to conquering the world and performing at London’s famed O2 Arena. Hear it from the boys themselves and see through their own eyes what it's really like to be One Direction. 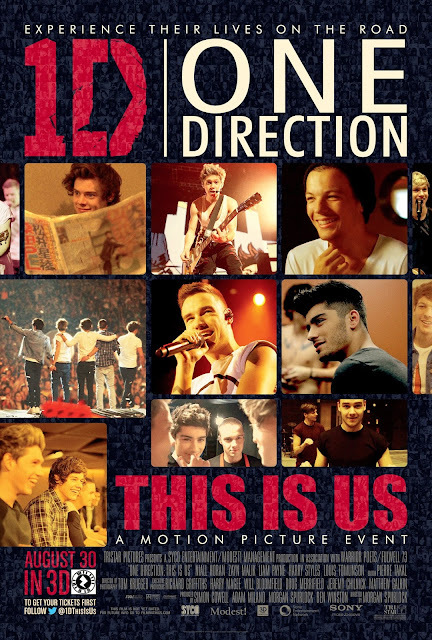 Directed by Morgan Spurlock (Super Size Me) and produced by Simon Cowell, Adam Milano, Spurlock and Ben Winston.